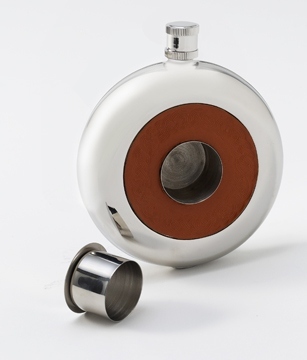 * Contemporary design meets modern technology with this handsome stainless steel pocket flask. 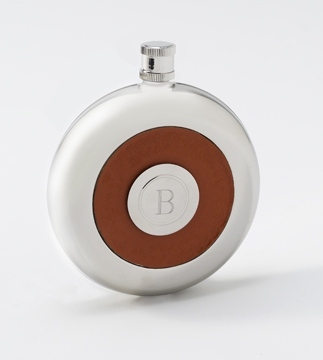 * The leather center, embossed with a braided pattern, holds a personalized removable shot glass that easily pops in and out when he wants to quench his thirst. * Holds 5 ounces of his favorite beverage. 4.25" x 4" x 2"